Our sense of expectation is a powerful force. It casts a ghostly hue and cry across all our endeavors. Writers, playwrights, and directors like to employ twists on our expectations to entertain us. Films like the Sixth Sense and The Others help make the point entertaining. We love being fooled - so long as the foolishness is not too personal and the expectations that are assaulted are generic. Most of us take a dim view of being accused based our assumptions and expectations. We don’t appreciate it much when those are framed by others and somehow become false intentions. Give me a Wookie howl. We understand that it is too easy to accept or miss the sophistry that intention by itself constitutes action. Accusation based on the assumed intention of others is certainly a sinful act. Survey after survey says - People appear to be better at sharing expectations than communicating. We all think differently yet somehow mysteriously manage share our mutual expectations. The neuroscience of the human mind and shared expectation fascinates me without end. Does expectation matter to us in Civil 3D? You bet. Over a series of posts about Civil 3D Project Startup mechanics we visited some of the ways we can employ Reference Templates and drawing and/or Data Shortcut Placeholders to help reduce the user mechanics of getting your project started off in less time with more consistent results. The most important fact about Placeholders and/or Civil 3D templates, Civil 3D Style, and resources is that we have to be committed to improving them continuously. Our intent doesn’t matter. Action does. 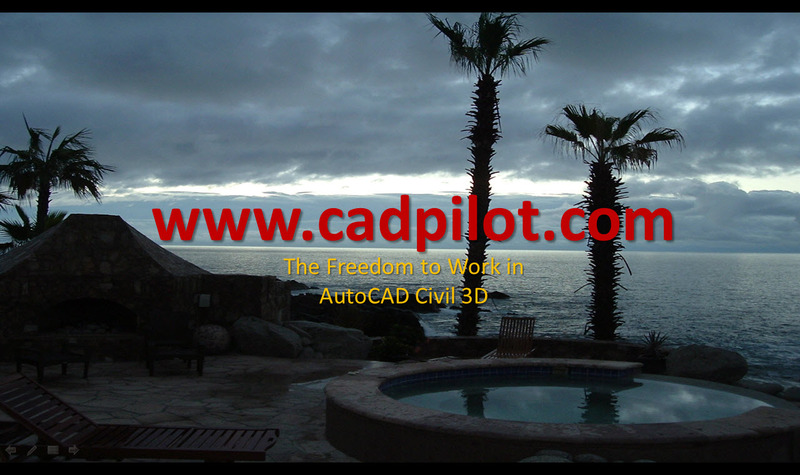 If we don’t manage the Civil 3D Dynamic Model, we soon discover that Civil 3D will manage us. The experience is often unpleasant. Via an active, repetitive development process, we can help remove the invisible wasted man-hours from our work. We’d all agree that is a good thing. You might want to consider that the systemic proactive differences here are what separates the formal stages of Deployment from Implementation. People do seem to get confused about that and the accountabilities involved. In the short video below we can only explore a few of the fundamental and important Civil 3D Feature-based opportunities to standardize resources. It would not be rational to limit Civil 3D Placeholders to a few prototype drawings and Data Shortcuts. We already don’t. For example: many folks do that already with standardized basemap XREF/DREF structures that are employed in project after project. I pointed out in earlier videos that we can employ a partial Civil 3D Project Template to make this structure and/or variants into functional placeholders. If we have developed detailed and standardized mechanics about a workflow, the process may be ripe to become a placeholder. The Framework for Civil 3D includes powerful tools to help you both identify the opportunities and execute on them in practice. In other words, we might want to ask if something like a Layer Standard can become an exchangeable placeholder in our project workflow. Our Placeholders may differ substantially based upon the type of civil engineering or survey project work we perform. All too often we expect that our needs are particular to us. Our brains tend to favor the attention to difference over commonality. In practice a focus on making the common placeholders suitable, often pays off more than a lot of detailed specifics. Not all of the placeholders listed below are covered in detail in the video above. Hopefully, you can add other opportunities to the fundamental list. I’d be really remiss if I failed to mention Windows Shortcuts and other tools when we talk about placeholders. Quick access to the right resources can save you lots of Civil 3D user time and confusion. Civil 3D’s many Open dialog boxes are each an opportunity we can exploit or suffer through. These are remarkably easy to integrate into your Civil 3D Project Templates too. See the Civil 3D Shared Resource Shortcuts video and related post for the specific details and how to’s.